OneRiver Media | Award-winning production and post-production services since 1991. End-to-end creative award-winning services for over 28 years. What is OneRiver Media’s“IT FACTOR”? Our mastery is immersing ourselves in your vision and providing absolute and total focus on that vision. Our clients feel the finished projects we create exceed their original concept. Whether you require us to utilize just one of our services or to span across many of our services, each phase is an intense convergence of technical and creative expertise with laser focus. We live, breathe, and dream this stuff. OneRiver Media produces high quality cinematic stories that allow your message to emotionally connect to your audience. 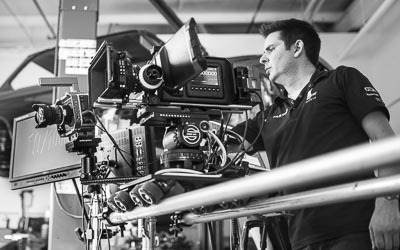 We combine all aspects of technical and creative services under one roof, conducted by one of the most respected thought leaders in the filmmaking industry, Marco Solorio, owner of OneRiver Media. With 28 years working professionally in the industry, a client base over 200 strong, and a multitude of impressive industry and movie awards, OneRiver Media has the creative and technical expertise to ensure your vision is produced into the masterpiece it deserves. Since 1991, OneRiver Media has been serving an international client base, from Europe, Asia, North America, South America, and Australia. We would love to add your company to our long list of over 200 gratified clients. From feature film movie awards to commercial industry awards, we've collected countless trophies for decades. Big or small, every project we're involved in is produced with award-winning caliber... even if there's no intention to have them submitted for awards. At OneRiver Media, we have the unique opportunity to offer our clients all forms of professional services, all within one work environment. This means your projects will be lower cost, operate much more efficiently, implement “zero error tolerance” between services, and faster completion times. In the 28 years we've been working professionally, we've never missed a single deadline. Please take a moment to view some examples of our work. If there's a particular genre or style you don't see, please let us know and chances are we can dig something up and post it for you to watch. One of the many unique aspects of OneRiver Media is the fact we have complete production and post-production resources under one roof... something the majority of other facilities, boutiques, and independents simply cannot offer. We do this within an efficient work environment and streamlined workflows. Our combination of services not only means greater flexibility, creativity, and technical ability, but it also means we can offer these combined services at lower cost. In most cases, other businesses have to outsource certain aspects of their production workflow, which can cause delays, increase the cost, and worse, create miscommunication within the various processes... something our clients never have to worry about. In short, OneRiver Media ensures the entire workflow is accurate, efficient, and cost-effective. OneRiver Media uses professional tools within all aspects of production and post-production. Chances are we've even beta tested hardware and software that has helped shape the industry as a whole. With over 28 years working professionally in the industry, Marco Solorio has built a strong and respectable reputation that reflects high quality, creativity, technical proficiency, and problem solving that allow the creation of any project to meet or exceed client expectations. In return, Marco has shared many of his experiences and creative craft back to the filmmaking community, throughout the world. Speaking honors include National Association of Broadcasters (NAB), Broadcast Asia, SXSW, Hollywood Post Alliance, Digital Cinema Society, and countless others. Marco is a published author (with "Rigging Your Cinema Camera" as his most recent book) and has written for print magazines, including Digital Video and Creative COW. Lastly, Marco is privileged for being featured in various publications, including, Post Magazine, DV Magazine, Cinema RAW, Splice, Studio Daily, PostPerspective, and many others. My experience working with OneRiver Media has been extremely positive, particularly in the areas of productivity, creativity, and working relationship. I have worked with the company since about 2006, on a variety of size and scope projects. For productivity, OneRiver Media gets high marks in consistently bringing in projects on time, on budget, and delivering quality work. For creativity, I have relied on their expertise in areas of flash and video to make creative recommendations and designs that have been consistently impressive and impacting. And I have developed a great working relationship with them that is distinguished by trust, honesty, and dependability. I have been working on projects with OneRiver Media since the late 1990’s and have benefited greatly from being able to include their work in my productions. 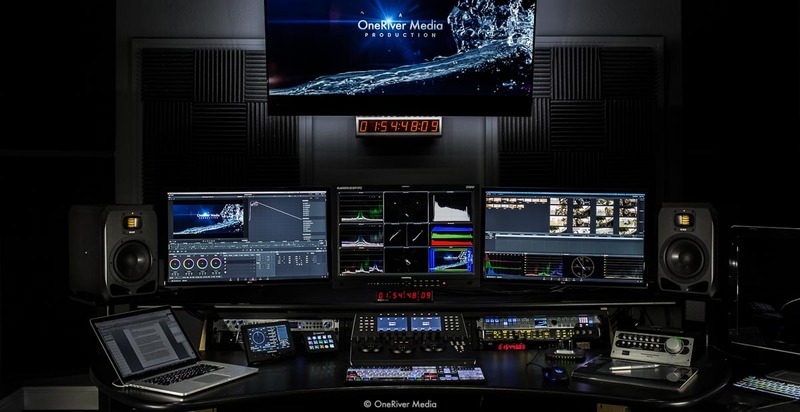 From the demonstration of an intricate medical device to dramatic movie special effects to short animations for locally broadcast commercial spots, OneRiver Media has done it all. First of all, I find the quality of their work to be absolutely beyond reproach. In fact, owner, Marco Solorio seems driven to find the equipment required to produce the “perfect image”. To this end he has researched and tested the hardware and software elements of digital video production to the point that he fast became a recognized expert in the field of codecs, their strengths and weaknesses, and the best hardware on which to use them. But Marco’s talents are not limited to technical excellence; he has a quick, creative mind, finding innovative solutions to some of my most challenging needs in regard to the illustrations required for the stories we tell. OneRiver Media has repeatedly taken my vision, interpreted and improved upon it, and returned with animations beyond my expectations. Finally, and probably most importantly, they are fun to work with. They enjoy brainstorming a project and I believe derive sincere pleasure in successfully turning a producer’s concepts into beautifully rendered images. I have had the pleasure to work with OneRiver Media on a number of occasions, on a variety of media, communications and 3D animation projects. Marco and his team of professionals have outstanding experience in the visual and creative arts, as well as an uncanny knowledge of technology, presentation and delivery platforms. From my perspective as a Producer, this combination provides for a seamless integration of images and technology that not only saves time, but also preserves and enhances the quality of the end product. I can’t recommend OneRiver Media highly enough and look forward to working them again on my next project. As a producer I am constantly looking to populate my team of ‘go to’ guys to help me out. The guys at OneRiver Media are quite simply it. Capital I. Capital T. Their knowledge base is huge, their client skills are impeccable, and their deliveries are always on time and beyond expectations. OneRiver Media looks out for me and my clients. When you’re there, they take care of you. Really what more could you want? 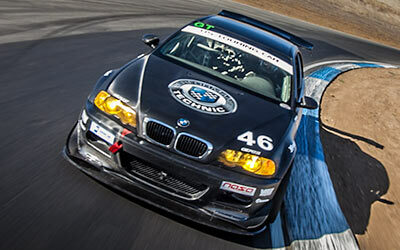 Marco Solorio (owner of OneRiver Media) is unmatched in his expertise and creativity. I can’t imagine that in this digital age that there is anything he doesn’t know — but if he doesn’t know something he will step-up, find out the facts, and then of course in “Marco Style” become an expert at it. I have used Marco on numerous projects and he always makes me look great! He is easy to work with, has great ideas, and knows how to put the facts on the table that will lead to a great result. Of course I have to mention his sense of humor. Marco knows how to work hard and play hard. He brings a sense of play to our work that allows for a comfortable flow of ideas and unique expression. Although he might be smarter than everyone else in the room, he moves with a graceful spirit that acknowledges everyone’s contribution. If you look up “sui generis” in the dictionary, you are likely to find Marco’s photo there. My experience with OneRiver Media has been extraordinary. Customer satisfaction is my biggest priority and I know that when I partner with OneRiver Media, my clients will not only experience the broadest spectrum of innovative, post production services, but an environment of professionalism and customer care unsurpassed in the San Francisco Bay Area. OneRiver Media goes the extra mile for my clients, and for me. When we need top quality graphics we always turn to OneRiver Media. They have been a contributing factor in our success since 1997. Their attention to detail and creative executions have always been a pleasure to experience. Since the early 2000’s, I have had the honor of working with OneRiver Media on a number of projects and ventures. Marco Solorio‘s work is not only first-class but his incredible range and depth of talents give him insights and profferings that take any project far beyond ordinary or commonplace. Marco is one of the most talented and yet gracious people I have met over the years and his sense of humor is contagious. He is that odd human being who is both a focused driving force that gets the job done as quickly as possible, and is yet one of the funniest people you will ever meet. Working with Marco is fun, no doubt about it. His keen eye, his knowledge of how to find the emotional connection to the audience, his understanding of one of the widest range of talents and techniques — including pre- and post-production, lighting, cinematography, music creation and editing and many other areas of production — make Marco one of the go-to people I trust when things need to get done and done to a high level of professionalism. I joke that Marco is a man with talent to burn. Those who know him know that I am not really joking. He is one of the most gifted and yet gracious people I have ever met. Over the years, we have become friends. I count that as a high honor because Marco is above all of it, a wonderful human being with a kind heart and a ready smile. OneRiver Media has provided a myriad of media services for me at a number of companies, from Silicon Valley start-ups to broadcast television. Providing everything from stellar consulting services to amazing post-production work, OneRiver Media has delivered for me time and time again. They are indeed one of my primary “go-to” media companies when I need top-quality work completed on time and on budget! OneRiver Media’s depth of knowledge and professionalism are the rare commodity we look for when brining on team partners for our media projects. Whether it requires animation, DVD authoring, photography or a number of other talents, the OneRiver Media team brought to the table is just what we needed to complete our projects with excellence. They have become long-term strategic partners of ours at Square Pictures, Inc. Working with OneRiver Media over the years has been consistently great. They have been easy to work with and professional on every project, bringing technical expertise and creative input to all of our projects. I know when I work with them, our projects will be far superior to what we could create without their help and that our projects will be completed on time and within the budget we need. When we turn over a project to OneRiver Media, it’s just total confidence in the outcome… even excitement! And that’s a great feeling to have. As an independent producer with a variety of needs, from interactive media to photo-realistic visual effects, services that integrate seamlessly with the project’s demands are critical. At times, I am crystal clear on those requirements and other times a basic idea is handed off that needs to be embellished. In either case, my expectations have always been exceeded. On a number of occasions, I’ve come to OneRiver Media with very strange requests (no pun intended) and they have taken the job in stride, run with the idea, met some improbable deadlines and answered the call, all within budget. Talk about good hands! No project I ever took or sent to OneRiver Media wasn’t significantly improved by their creativity, effort and technical savvy. Marco Solorio, owner of OneRiver Media, is hands down the most talented person that I know. I am very fortunate to have been able to work alongside OneRiver Media in the past. Marco’s work is simply unparalleled, yet he balances everything with a grace and ease that makes him a pleasure to be around. His software product, “Media Batch” by Cinesoft, is a perfect example of what his technical knowledge and creativity are capable of bringing to the table. Not only is it one of the greatest developments for the media industry, but I don’t know how I would get by without it. Marco Solorio of OneRiver Media is a very talented computer graphics artist and a load of fun to work with. 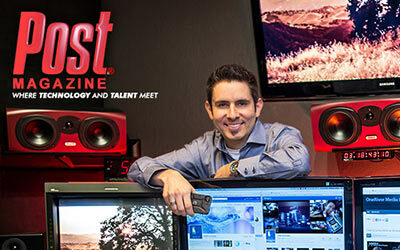 He’s up on all the latest changes in video & CGI technology and has been a great resource to me. He also puts up with my unreasonable requests and impossible deadlines, which is critical for producers like myself. What are the reasons I thoroughly enjoy recording my voiceovers with Marco at OneRiver Media? How much time do you have? All you have to do is walk into his studio to realize "This is where things get done!" Marco's attention to detail, and steadfast desire to make the client happy make me feel like I'm working with a real pro. New technology? Well, Marco's way ahead of the curve on every level. I couldn't recommend Marco and OneRiver Media highly enough. Whether your project is big or small, we'd love to discuss how we can work with your next project. Call, email, or write to us to see how we can help you and bring your project to a success! Services: 3D modeling, 3D animation, 2D animation, design, visual effects, motion graphics, digital compositing, chroma-keying, color-grading, video editorial, encoding, music composition/recording, audio mixing/sweetening, interactive authoring/development, web production, technical services/support. Services: 3D modeling, 3D animation, 2D animation, visual effects, digital compositing, encoding. Services: Production, cinematography, visual effects, digital compositing, motion graphics, video editorial, audio post, color grading, encoding. Services: Production, cinematography, 3D modeling, 3D animation, 2D animation, visual effects, digital compositing, video editorial, audio post, color grading, encoding. Services: Technology consultant, beta testing. Services: 3D modeling, 3D animation, motion graphics, visual effects, video editorial, encoding, DVD authoring, technical consultation. Services: Graphic design, interface design, vector artwork, Flash authoring, ActionScript development, FLV encoding, iPhone emulator module. Services: Medical animation and visualization: 3D modeling, 3D animation, 2D animation, visual effects, digital compositing and video editorial. Services: Video editorial, encoding, DVD authoring. Services: 3D modeling, 3D animation, 2D animation, visual effects, digital compositing, motion graphics, video editorial, audio post, color grading, encoding. Services: 3D modeling, 3D animation, 2D animation, visual effects, digital compositing, video editorial, encoding. Services: Visual effects, digital compositing, motion graphics, video editorial, audio post, color grading, encoding. Services: Visual effects, motion graphics, digital compositing, encoding. Services: Visual effects, motion graphics, digital compositing, video editorial, encoding. Services: Technology consultant, beta testing, speaker presentations, Keynote authoring, graphic design. Services: 3D modeling, 3D animation, motion graphics, visual effects, motion-tracking, video editorial, encoding, DVD authoring. Services: Speaker presentations, Keynote authoring, graphic design. Services: Interactive authoring and development, CD-ROM authoring. Services: 3D modeling, 3D animation, motion graphics, visual effects, motion-tracking, video editorial. Services: Interactive authoring and development (Flash, XML, etc. ), 3D modeling, 3D animation, 2D animaation, motion graphics, visual effects, partical effects, chroma-keying, digital compositing, video shooting/production, video editorial, encoding, audio post and mixing. Services: 2D animation, digital compositing, time-remapping. Services: Live streaming, digital compositing, motion graphics, encoding. Services: Motion graphics, visual effects, digital compositing, online editing, encoding. Services: 3D modeling, 3D animation, motion graphics, visual effects, digital compositing, online editing, encoding. Services: 3D modeling, 3D animation, motion graphics, visual effects, digital compositing, editing, encoding, Flash authoring, web production. Services: Motion graphics, visual effects, digital compositing. Services: 3D modeling, 3D animation, motion graphics, visual effects, chroma-keying, digital compositing, online editing, color timing, encoding, technical consultation. Services: Motion graphics, visual effects, digital compositing, music composition. 47 . DeVries Media, Inc.
Services: 3D modeling, 3D animation, 2D animation, motion graphics, visual effects, chroma-keying, digital compositing, video editorial, encoding, DVD authoring. Services: Web production as part of their main website. Services: Music production, recording, mixing, radio broadcast. Services: Motion graphics, visual effects, digital compositing, video editorial, encoding, DVD authoring. Services: 3D modeling, 3D animation, 2D animation, motion graphics, visual effects, chroma-keying, motion-tracking, match-moving, digital compositing, video editorial, encoding, DVD authoring, technical consultation. Services: Video editorial, design, visual effects, motion graphics, digital compositing, color-grading, encoding. Services: Production, cinematography, visual effects, digital compositing, motion graphics, video editorial, audio post, color grading, website production, encoding. Services: 3D modeling, 3D animation, motion graphics, visual effects, digital compositing, encoding. 58 . Elite Spinal Care, Inc.
Services: Web production (DHTML, PHP, Java Script), graphic design. Services: 3D modeling, 3D animation, 2D animation, motion graphics, visual effects, motion-tracking, match-moving, digital compositing, video editorial, encoding. Services: Motion graphics, visual effects, chroma-keying, digital compositing, video editorial, encoding, technical consultation. Services: 2D animation, motion graphics, visual effects, digital compositing, video editorial, video shooting/production, encoding, DVD authoring, music composition, audio mixing. Services: 3D modeling, 3D animation, 2D animation, motion graphics, visual effects, chroma-keying, motion-tracking, match-moving, digital compositing, video editorial, video production/shooting, audio post, encoding, DVD authoring, technical consultation. Services: 2D animation, motion graphics, visual effects, digital compositing, encoding. Services: 3D modeling, 3D animation, motion graphics, visual effects, video editorial, color timing, encoding. Services: 3D modeling, 3D animation, 2D animation, production, cinematography, visual effects, digital compositing, motion graphics, video editorial, audio post, color grading, encoding. Services: Storyboarding, animatics, 2D animation, motion graphics, visual effects, digital compositing, video editorial, color-timing, audio post, photography, encoding. Services: 3D modeling, 3D animation, motion graphics, visual effects, encoding. Services: Graphic design, photography, web production. Services: Video editorial, design, visual effects, 2D animation, motion graphics, chroma-keying, digital compositing, color-grading, audio post, audio mixing, encoding, technical consultation. Services: Interactive authoring and development. Services: Motion graphics, visual effects. Services: Interactive CD-ROM authoring and development. Services: 3D modeling, 3D animation, visual effects, motion graphics, digital compositing, video editorial, encoding. Services: 3D modeling, 3D animation, 2D animation, design, visual effects, motion graphics, digital compositing, chroma-keying, color-grading, video editorial, encoding, photography, video production, music composition, audio mixing/sweetening, technical services/support. Services: Chroma-keying, motion-tracking, motion graphics, visual effects, digital compositing, editing, encoding. Services: Motion graphics, visual effects, video editorial. 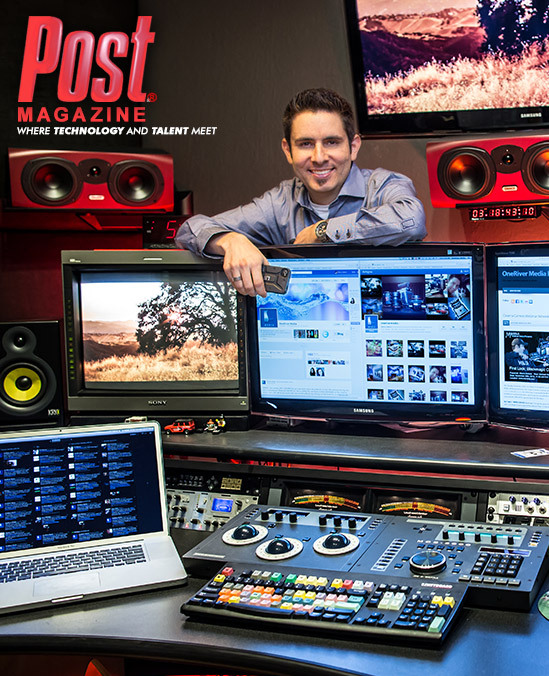 Services: Design, interactive new-media authoring/development, audio recording/mixing. Services: 3D modeling, 3D animation, motion graphics, visual effects, digital compositing, video editorial. Services: Production, cinematography, audio post, color grading, encoding. Services: Music arrangement, recording, mixing, encoding. Services: 2D animation, visual effects, motion graphics, digital compositing, encoding. Services: 3D modeling, 3D animation, 2D animation, design, visual effects, motion graphics, digital compositing, chroma-keying, color-grading, match-moving, motion-tracking, video editorial, encoding, music composition/recording, audio mixing/sweetening, technical services/support. 101 . MAC Meetings & Events, L.L.C. Services: Production, cinematography, visual effects, digital compositing, motion graphics, video editorial, audio post, color grading, DVD authoring, encoding. Services: Video production, event video production, 3D modeling, 3D animation, 2D animation, design, visual effects, motion graphics, digital compositing, chroma-keying, color-grading, video editorial, encoding, audio post, audio mixing/sweetening. 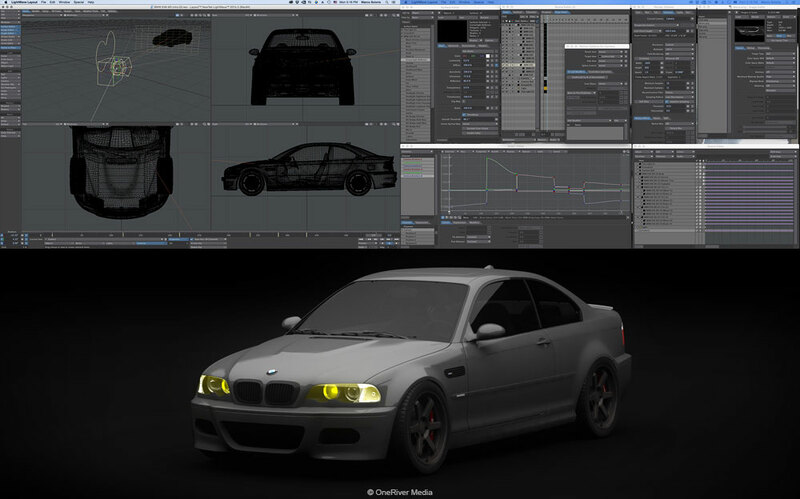 Services: 3D modeling, 3D animation, visual effects, digital compositing, encoding. Services: 3D modeling, 3D animation, 2D animation, design, visual effects, motion graphics, digital compositing, chroma-keying, color-grading, video editorial, encoding, photography, Video production, music composition/recording, audio mixing/sweetening, interactive authoring/development, web production, technical services/support. Services: 2D animation, design, visual effects, motion graphics, digital compositing, color-grading, video editorial, encoding, audio mixing/sweetening. Services: 3D modeling, 3D animation, 2D animation, design, visual effects, motion graphics, digital compositing, chroma-keying, color-grading, video editorial, encoding, audio mixing/sweetening, technical services/support. Services: 3D modeling, 3D animation, visual effects, motion graphics, digital compositing, video editorial, technical/support services. Services: 3D modeling, 3D animation, 2D animation, visual effects, motion graphics, particle effects, digital compositing, color-grading, video editorial, encoding, audio mixing/sweetening. Services: 3D modeling, 3D animation, 2D animation, visual effects, motion graphics, digital compositing, video editorial, encoding, music digital compositing/recording, audio mixing/sweetening. Services: Video shooting production, 3D modeling, 3D animation, visual effects, motion graphics, digital compositing, video editorial, color-timing, audio mixing/sweetening, encoding, web production. Services: 3D modeling, 3D animation, 2D animation, visual effects, motion graphics, particle effects, chroma-keying, digital compositing, video editorial, encoding, music digital compositing/recording, audio mixing/sweetening. Services: 3D modeling, 3D animation, 2D animation, visual effects, motion graphics, digital compositing, encoding. 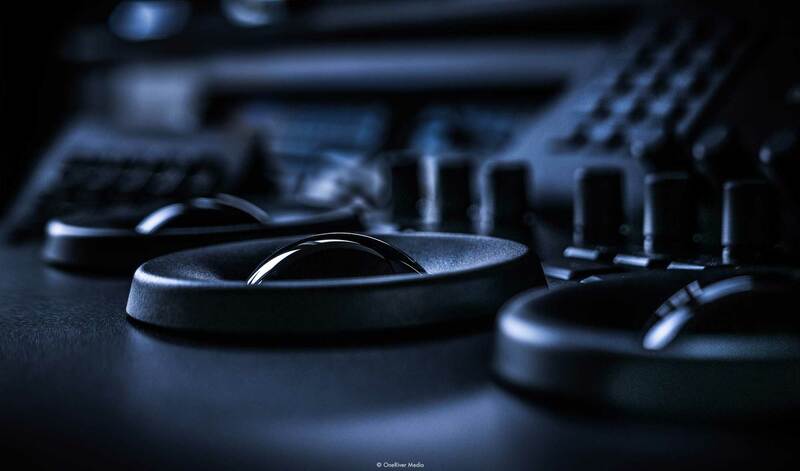 Services: Sound engineering, audio mixing, recording, mastering. Services: 3D modeling, 3D animation, 2D animation, visual effects, motion graphics, particle effects, digital compositing, video editorial, color-timing, encoding, DVD authoring. Services: 3D modeling, 3D animation, 2D animation, character rigging/animation, visual effects, motion graphics, digital compositing, video editorial, color-timing, encoding, DVD authoring. Services: Graphic design, interface design, vector artwork, Flash authoring, ActionScript development, FLV encoding. Services: 3D modeling, 3D animation, 2D animation, visual effects, motion graphics, match-motion, digital compositing, video editorial, color-timing, encoding. Services: 3D modeling, 3D animation, 2D animation, visual effects, motion graphics, digital compositing, video editorial, color-timing, encoding, technical services/support. Services: 2D animation, visual effects, motion graphics, particle effects, digital compositing, video editorial, color-timing, encoding, DVD authoring. Services: CD-ROM authoring and development. Services: 3D modeling, 3D animation, 2D animation, visual effects, motion graphics, digital compositing, video editorial, color-timing, encoding. Services: Video production, digital compositing, chroma-keying, color-grading, video editorial, encoding, audio post, audio mixing/sweetening. Services: Video editorial, visual effets, digital compositing, color-grading, video editorial, encoding, audio post, audio mixing/sweetening. Services: 3D modeling, 3D animation, 2D animation, visual effects, motion graphics, digital compositing, encoding, photography, technical services/support. Services: 3D modeling, 3D animation, 2D animation, visual effects, motion graphics, digital compositing, encoding, technical services/support. Services: Storyboarding, animatics, 2D animation, motion graphics, visual effects, particle effects, digital compositing, video editorial, color-timing, audio post, photography, encoding, audio recording/mixing/sweetening. Services: 3D modeling, 3D animation, 2D animation, visual effects, motion graphics, digital compositing, video editorial, color-timing, encoding, DVD authoring, web services. Services: Visual effects, motion graphics, interactive authoring/development, encoding. Services: 3D modeling, 3D animation, 2D animation, motion graphics, visual effects, chroma-keying, motion-tracking, match-moving, digital compositing, video editorial, video shooting, audio post, encoding, DVD authoring, technical consultation. Services: 3D modeling, 3D animation, 2D animation, motion graphics, visual effects, digital compositing, interactive CD-ROM authoring/development. Services: 3D modeling, 3D animation, visual effects, motion graphics, digital compositing, encoding, web production. 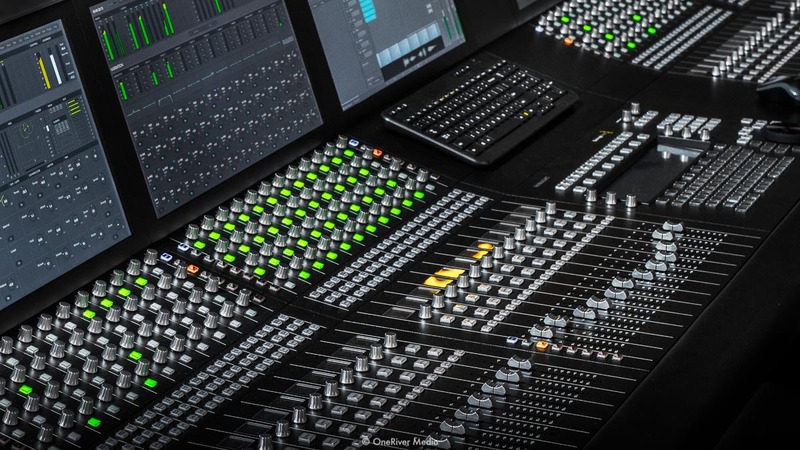 Services: Audio production, audio post, encoding. Services: 3D modeling, 3D animation, 2D animation, motion graphics, visual effects, chroma-keying, motion-tracking, match-moving, digital compositing, video editorial, audio post, encoding, DVD authoring, technical consultation. Services: Chroma-keying, motion graphics, visual effects, video shooting, digital compositing, editing, encoding. Services: 3D modeling, 3D animation, 2D animation, motion graphics, visual effects, chroma-keying, digital compositing, encoding. Services: Interactive web production; Flash and Shockwave. Services: 3D modeling, 3D animation, 2D animation, motion graphics, visual effects, chroma-keying, motion-tracking, match-moving, digital compositing, video editorial, audio post, encoding, DVD authoring, web production, design, technical consultation. Services: 3D modeling, 3D animation, 2D animation, motion graphics, visual effects, digital compositing, encoding, interactive CD-ROM authoring and development. 160 . SBC Communications, Inc.
Services: 3D modeling, 3D animation, 2D animation, design, visual effects, motion graphics, digital compositing, chroma-keying, color-grading, video editorial, encoding, photography, video production, music composition/recording, audio mixing/sweetening, technical services/support. Services: 3D modeling, 3D animation, 2D animation, design, visual effects, motion graphics, digital compositing, encoding. 165 . SGI - Silicon Graphics, Inc.
Services: Interactive new-media authoring and development. 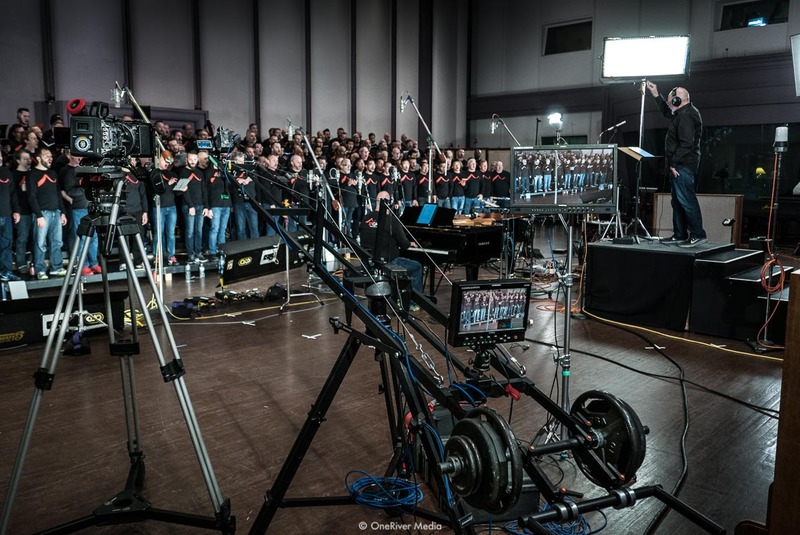 Services: On-location technical direction/services/support, multi-cam matching. Services: 3D modeling, 3D animation, 2D animation, design, visual effects, motion graphics, particle effects, digital compositing, chroma-keying, color-grading, match-moving, motion-tracking, video editorial, encoding, audio mixing/sweetening, technical services/support. Services: 3D modeling, 3D animation, 2D animation, design, visual effects, motion graphics, particle effects, digital compositing, chroma-keying, color-grading, match-moving, motion-tracking, video editorial, encoding, music composition/recording, audio mixing/sweetening, DVD authoring/development, web production, technical services/support. Services: 3D modeling, 3D animation, 2D animation, design, visual effects, motion graphics, particle effects, digital compositing, chroma-keying, color-grading, match-moving, motion-tracking, video editorial, encoding, music composition/recording, audio mixing/sweetening, technical services/support. Services: 2D animation, design, visual effects, motion graphics, digital compositing, color-grading, encoding, music composition/recording, audio mixing/sweetening. Services: 2D animation, design, visual effects, motion graphics, digital compositing, color-grading, video editorial, encoding, audio mixing/sweetening, web production. Services: Production, cinematography, visual effects, digital compositing, motion graphics, video editorial, audio post, color grading, BluRay authoring, live web streaming, encoding. Services: 3D modeling, 3D animation, 2D animation, design, visual effects, motion graphics, digital compositing, color-grading, match-moving, motion-tracking, encoding, interactive CD-ROM authoring/development. Services: Production, cinematography, visual effects, digital compositing, motion graphics, video editorial, audio post, color grading, website production, still photography, live streaming, encoding. Services: 3D modeling, 3D animation, 2D animation, design, visual effects, motion graphics, digital compositing, color-grading, encoding. Services: Production, cinematography, visual effects, digital compositing, 3D modeling/animation, motion graphics, video editorial, musical scoring, audio post, color grading, encoding. 189 . Tyson Foods, Inc.
Services: Interactive new-media/kiosk authoring and development. Services: Video production, event video production, 3D modeling, 3D animation, 2D animation, design, visual effects, motion graphics, digital compositing, chroma-keying, color-grading, video editorial, encoding, audio mixing/sweetening. 191 . Vanessa Records, Inc.
Services: Sound engineering, audio mixing, recording, mastering, interactive CD-ROM authoring/development, design, visual effects, motion graphics, web production. Services: 3D modeling, 3D animation, 2D animation, design, visual effects, motion graphics, digital compositing, color-grading, encoding, video editorial, encoding, DVD authoring, DVD duplications. Services: 3D modeling, 3D animation, 2D animation, design, visual effects, motion graphics, particle effects, digital compositing, chroma-keying, color-grading, match-moving, motion-tracking, video editorial, encoding, music composition/recording, audio mixing/sweetening, interactive authoring/development, web production, technical services/support. Services: Design and visual effects. Services: 3D modeling, 3D animation, 2D animation, design, visual effects, motion graphics, digital compositing, color-grading, encoding, DVD authoring, DVD duplications. Services: 2D animation, visual effects, motion graphics, chroma-keying, digital compositing, color-grading, encoding. 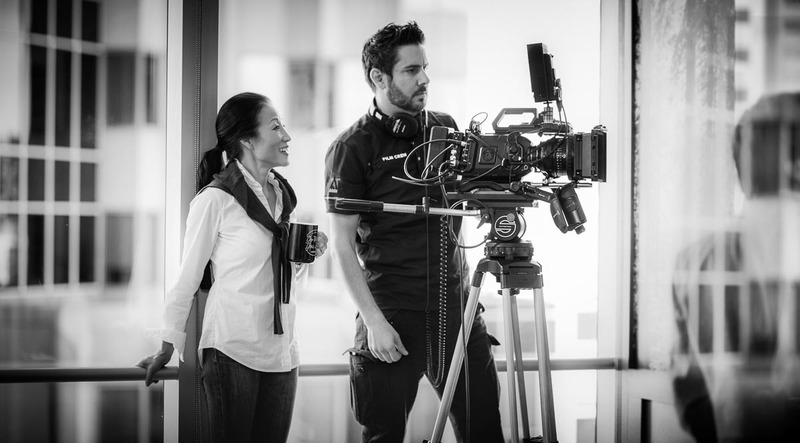 Producer/Director Christy Hui enjoying the shot by Director of Photography Marco Solorio, as he focuses on the composition and technicalities of the shot. BTS photo by Courtney Frisk. Services: Production, cinematography, motion graphics, visual effects, digital compositing, video editorial, audio mixing/sweetening, color grading, encoding. Services: Production, cinematography, 3D modeling, 3D animation, 2D animation, motion graphics, visual effects, digital compositing, music composition, video editorial, 5.1 surround mix, color grading, encoding. Whether your project is big or small, our scalable cinematography services will fit the style, emotion, and budget you need. From single camera to multi-camera, OneRiver Media can cover it. 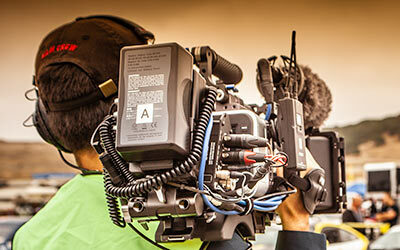 We have an extensive camera packages to fit the job. Our roots in still photography started in the 1980's using 35mm film. In fact, we still own 35mm and medium format film cameras today! But we're also versed in modern still photography technology with various DSLR bodies and lens packages to choose from. We also have several strobe light and backdrop options for remote photography production. Our many years of expertise in Adobe Lightroom encapsulates our end-to-end still photography services. With decades of video editing under our belt, we can ensure the story you want to show the world evokes the emotion and flow need to capture an audience. We can edit in any genre needed, short-form, long-form, and even in completely different languages (we recently completed a 13-minute short film spoken entirely in Mandarin). We can accept virtually any format to work with and can deliver to any format needed as well. We are also resolution independent, with our most popular formats including 1080 HD, 4K UHD, and native cinematic ratios. With a deep understanding of how and when to use visual effects, we have the tools and experience necessary (since the 1990's) to make your vision come to life. Sometimes it's either physically impossible or cost prohibitive to convey the message you need but with our visual effects expertise, we can turn your idea into creative reality. Audio and music production is the foundation of OneRiver Media's core creative expertise, rooting itself from the 1980's. 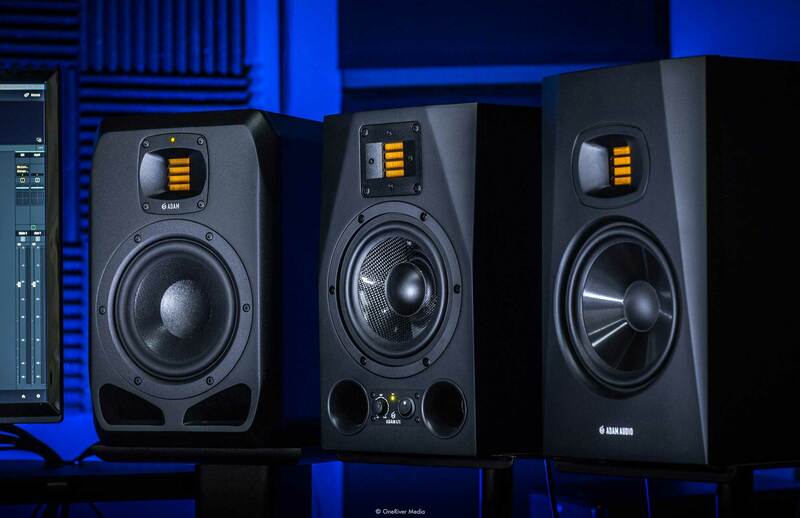 From music composition/performance to surround sound mixing, we cover all aspects of audio production to make your ears happier. 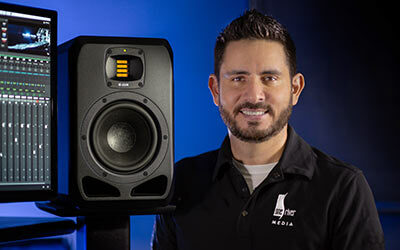 As Marco Solorio (owner of OneRiver Media) has said himself over and over again in worldwide presentations, "If you're not serious about your audio, you're not serious about your video." The endcap of any visual production is the finishing stage where we can balance, de-noise, polish, stylize, and give the emotion that your project deserves. From a professional standpoint, it's very rare that any footage that is shot, remains un-corrected at the delivery stage; we ensure all visuals are correct and cohesive, from both a creative and technical standpoint. OneRiver Media takes things a step further with complete delivery services. OneRiver Media has been instrumental throughout the history of video codecs, compression, and decompression technologies and techniques. So much so that Marco Solorio (owner of OneRiver Media) has consulted with various companies (including Apple) on the very technology, with white papers on the topic, translated into many languages. With this in mind, OneRiver Media will test and evaluate your finished video’s output encoding format to ensure specified data-range size, quality, and efficiency. Using various technologies and trade secret techniques, your video will look and sound the best it can be for the specified delivery method you’ve requested, including YouTube, website, DVD, Blu-ray, kiosk display, production workflow, archiving, or anything else that may be needed. If interactivity and custom authoring is a request, we can provide engaging programs as well. Having started interactive multimedia since the day it was available for CD-ROM in the mid-1990’s, OneRiver Media has grown with the technology to what it is today. If web streaming is your requirement, OneRiver Media’s subsidiary company, “RiverStream.io” will ensure your live event is broadcasted to YouTube, Facebook, Twitter, and/or a private secure portal we can build, complete with your company’s ID branding. For greater detail on this service, please visit RiverStream.io for complete information. OneRiver Media 2015 Demo Reel from OneRiver Media on Vimeo. 10/10ths Official Trailer from OneRiver Media on Vimeo. Services: Full multi-cam production/shooting, visual effects, motion graphics, video editing, musical score/composition, comeplete 5.1 surround audio mixing, color grading, encoding. Additional Info: Winner of 13 movie awards and 16 laurels, including best original score and best soundtrack. Services: Full multi-cam production/shooting, chromakey production, video editing, audio mixing, color grading, encoding. Services: Full production by OneRiver Media. Services: Video production, video editing, visual effects, motion graphics, audio mixing, encoding. Additional Info: 2018 Telly Award Winner, 2018 W3 Award winner. Services: Video editing, visual effects, motion graphics, audio mixing, encoding. 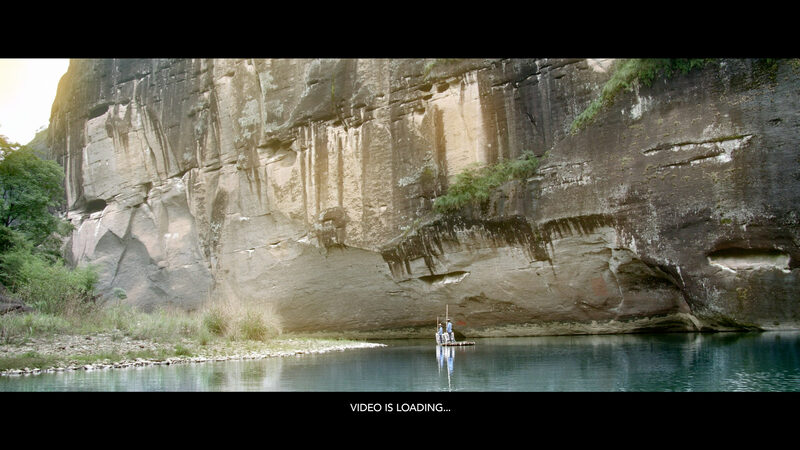 Additional Info: With only photos to work from, client wanted a movie trailer feel showcasing their new device. Services: Visual effects, motion graphics, digital compositing, video editing, audio mixing, color grading, encoding. Services: Full multi-cam production/shooting, visual effects, motion graphics, video editing, musical score/composition, audio mixing, color grading, encoding. Services: Full multi-cam production/shooting, motion graphics, video editing, audio mixing, color grading, encoding. 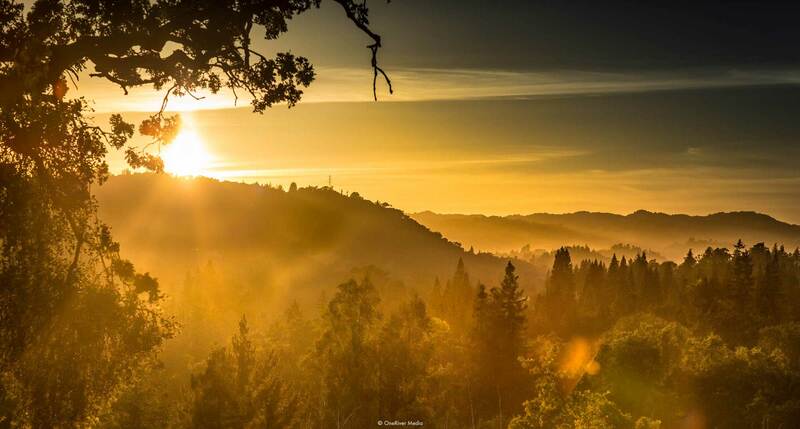 Services: Music (orchestral score, arrangement, performance, composition). Complete 5.1 surround mix. Services: Music (orchestral score, arrangement, performance, composition). Additional Info: Short film spoof based on “Back To The Future” for Cisco. Services: Music (score, arrangement, performance, composition), visual effects, motion graphics, video editing, audio mixing, encoding. Additional Info: 2013 Telly Award Winner. Services: Music (score, arrangement, performance, composition), visual effects, motion graphics, video editing, audio mixing, color grading, encoding. Services: Music (score, arrangement, performance, composition), production/shooting, visual effects, motion graphics, video editing, audio mixing, color grading, encoding. 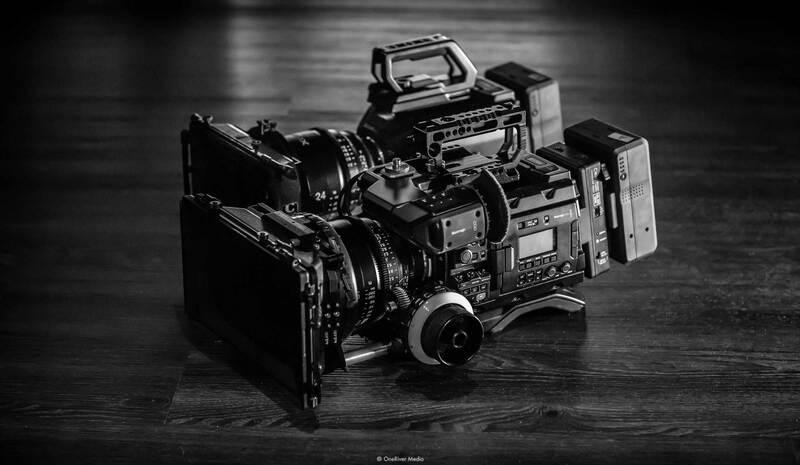 OneRiver Media owns a huge arsenal of camera technology that can fit your project, budget, and style. 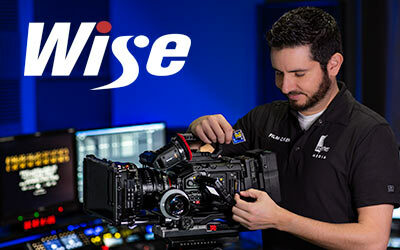 From feature film cinema acquisition to micro-sized car mount acquisition, we have just about every type of camera needed to get the job done. More so, we go way beyond simply working a camera, but knowing all of its strengths and weaknesses so ensure the right camera is used for the right job, under the right format, and within the best post-production workflow in mind. OneRiver Media prides itself in being both creatively skilled in cinematography but also technically versed in its deep operations. It's no wonder we've been part of the a select few that have have beta tested new digital cinema acquisition technology as it has evolved. Definitely beats the Hi8 and Video8 formats we used in the 1980's! 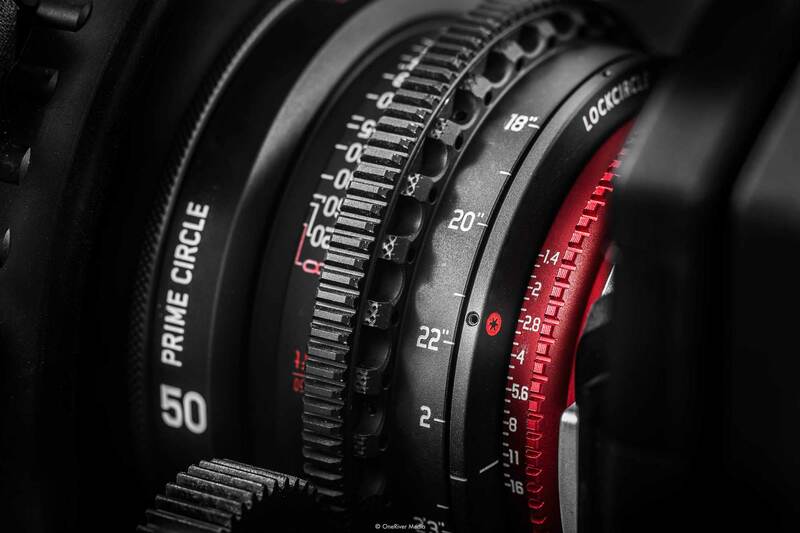 OneRiver Media owns a various amount of cinema lenses and still photography lenses to best suit the project at hand. 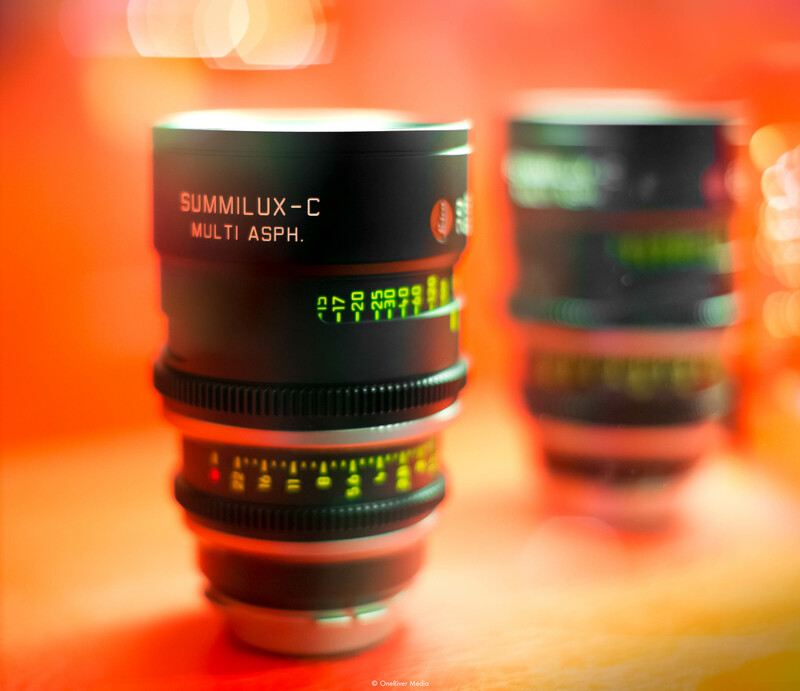 Metabones EF to MFT T CINE Speed Booster XL 0.64x. Metabones EF to MFT Pocket Cinema Speed Booster. Massive selection of Panavision-sized filters (4x5.65) and threaded filters. 95% are Schneider or B+W German optics. 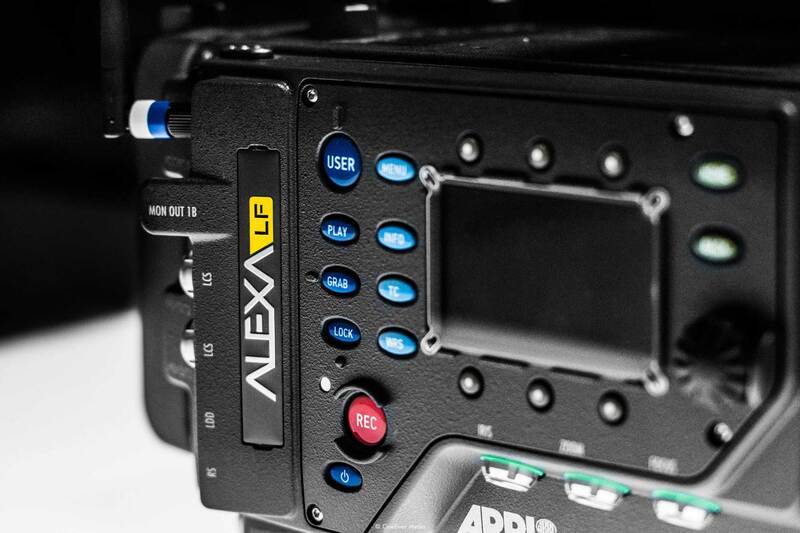 Large selection of matteboxes (ARRI, Bright Tangerine, Chrosziel, and more) from single-stage to triple-stage. Various lens control from several follow focus units, donuts, whip arms, etc. 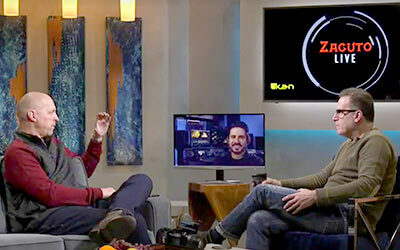 How a production set is lit up is the single most important factor when shooting video or photography, even more so than the cameras themselves. Big lighting, small lighting, studio lighting, and location lighting, OneRiver Media has your production set covered. No matter the size of the production, we ensure that the right type of lighting coverage is used, as well as the proper lighting (color) balance. Sometimes productions are situated in locations where existing lighting needs to mix (or controlled) with production lighting and we have the problem-solving skills to ensure lighting is never left to chance and always looks natural and clean. We own various light types, various color spectrums, and various intensities. No job is ever the same and our arsenal of lighting equipment ensures quality results every time. Grip, stands, flags, scrims, gells, etc. Whether the shot calls for big motion or complete lock-down, we have a large selection of support tools to mount and move the cameras as needed. Our "Hybrid Suite" uses cutting-edge tools that combines video editing, color grading, and audio mixing in one cohesive ecosystem. It's truly a space of magic. But more importantly, it helps us work creatively in a controlled, calibrated environment. 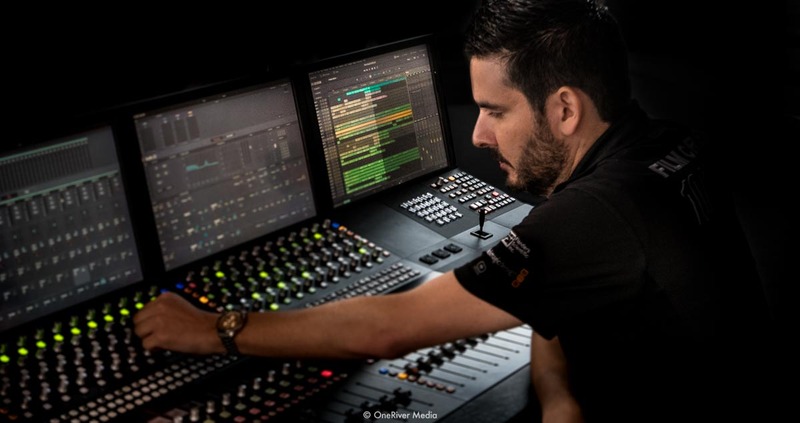 OneRiver Media uses some of the best post-production equipment the industry has to offer, including tools we've beta tested from major companies that helps the industry as a whole. OneRiver Media was originally founded in professional audio, from analog tape to today's powerful digital audio workstations. With a dedicated audio control room, we can performa all various audio production and post-production services. The tools we use are both diverse and powerful. Assorted mounts, stands, popper stoppers, wind filters, etc.